One heavy step, then another. Straps across their chests, they pull. It’s Russia, 1869. In Repin’s Barge Haulers on the Volga, you can feel the heat and the workers’ exhaustion. If you look closely, you’ll notice a steamship on the horizon; this back-breaking labour is no longer necessary. Like Dickens and Tolstoy, Repin uses powerful realism to illuminate injustice. He depicts the labourers with a stoic strength and dignity, yet filled with exhaustion and despair. In contrast, the youth in the centre stands tall and seems about to throw off his yoke. Here are the seeds of the Russian Revolution. ’m Sean Forester, classical painter and literary tour discussion leader, and I will be your guide to the Russian Golden Age. 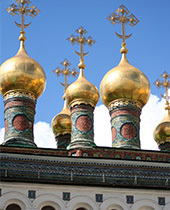 We will visit the Tretyakov Gallery, the Hermitage, and the homes and studios of Russian painters. 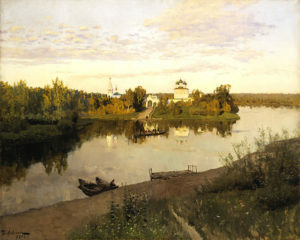 I hope that by the end of our tour, you will grasp why the painters Repin, Kromskoy, and Levitan deserve to be placed alongside their friends, Tolstoy and Chekhov. Alongside the suffering, there is tenderness and joy in Russian art. 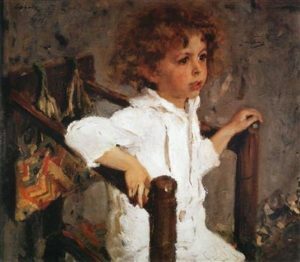 For example, Serov captures a child full of wonder and surprise in this portrait, and Levitan shows the serenity of an island monastery in The Evening Bells. With its vast landscape and rich cultural heritage, Russia is a perfect destination for a literary adventure. At Worldwide Quest we believe that studying the literature, painting, and music of the places we visit deepens our understanding of them. The places enhance the art. We will explore a particularly exciting time in Russian cultural history by reading and discussing a selection of great Russian short stories, from Gogol’s dark comedy to the philosophical questions of Dostoevsky, from Tolstoy’s deep psychology to Chekhov’s ironic, touching narratives. We will also visit the world-renowned Bolshoi Theatre in Moscow and the Mariinsky Theatre in St. Petersburg – imagine yourself experiencing Russian music and ballet in the land of their birth. At the Tolstoy House Museum see the author’s writing desk, piano, and bicycle with wooden tires! Explore St. Petersburg with a local guide who will lead us to the buildings depicted in Dostoevsky’s Crime and Punishment. 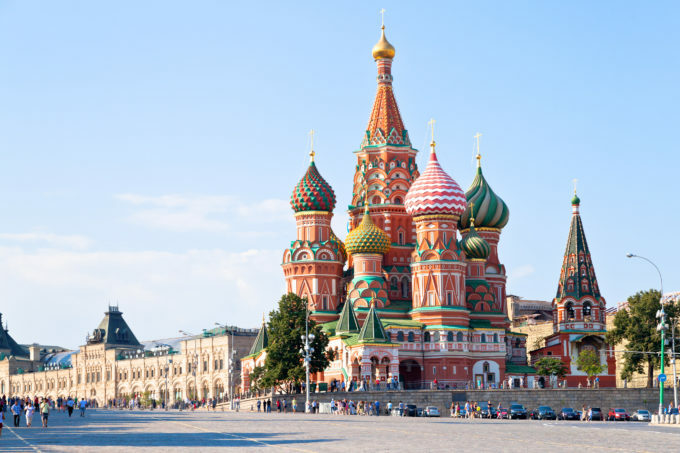 If you are hesitant about visiting Russia in the current political environment, know that Worldwide Quest has led several successful trips to Russia over the past few years. On the 2014 trip, the Russians we met were welcoming and happy to share their culture with Americans and Canadians. 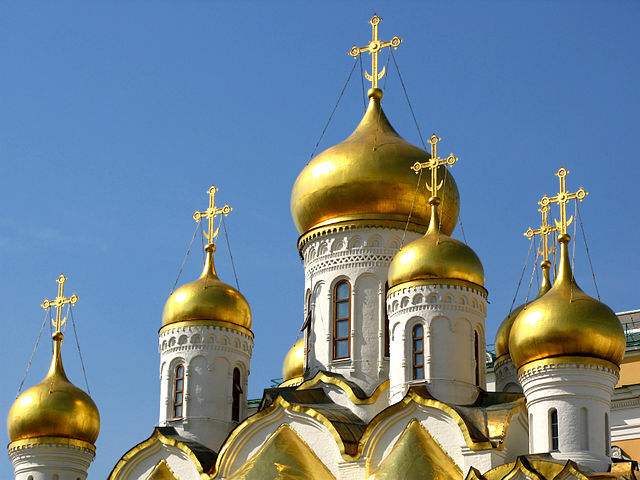 I invite you to join us on this unique journey to Russia to celebrate the Golden Age. 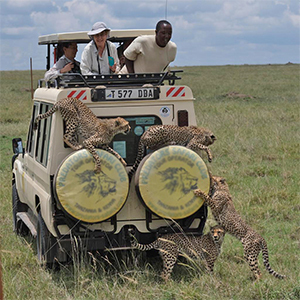 To book your place, please call Worldwide Quest at 1-800-387-1483, or email travel@worldwidequest.com. I look forward to meeting you in Russia!